What Is Your "One Chance" This Week? Think of all the things you have put off recently. Calling someone to catch up. Working on a big task that seems overwhelming. Scheduling some time for yourself in your week. It seems like we have so conditioned ourselves that there will be time later for such things. This past weekend I was reminded of the need to think in terms of "one chance." My family had the amazing opportunity to host two children from the Children of the World International Children's Choir. 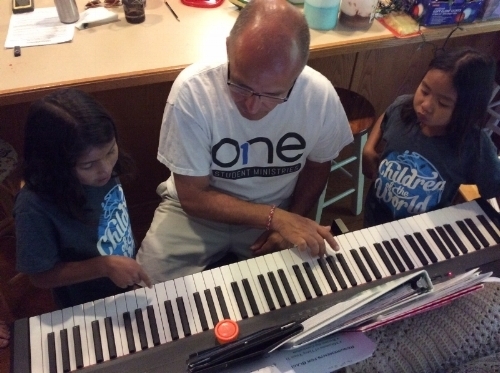 This humanitarian organization shines a spotlight on the problems facing refugee children and families around the world.These two 8 year old girls (from Nepal and the Philippines) would be with us for about 39 hours (yes, I counted them), and then we would most likely never see them again. This was our "one chance" to show them love, encouragement, and hope. We had an incredible experience, and many tears of joy were shed on Sunday as they departed for their next concert. The whole experience reminded me that I need to look at something as a "one chance" more often. Taking that approach motivates me to plan more effectively for the moment and to be fully present with all that's happening. There's also less regret when that moment is over. I wouldn't take anything for the sense of joy and contentment I have for the weekend my family had with those children. It really does feel good to make the most of your one chance.